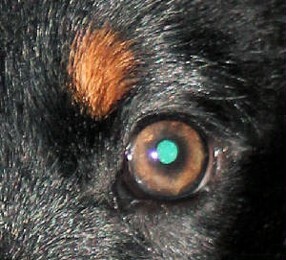 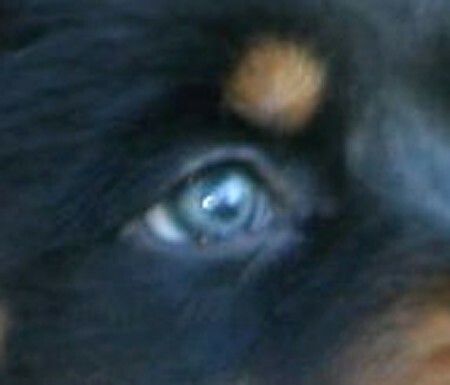 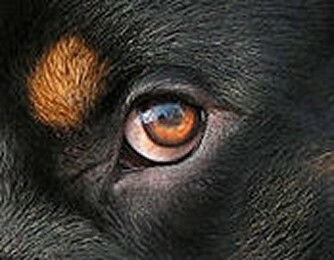 Rottweilers eye color is checked with a eye color chart from Germany. 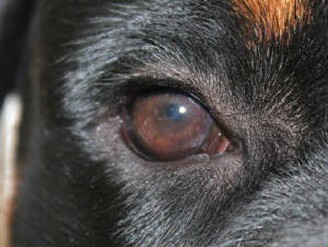 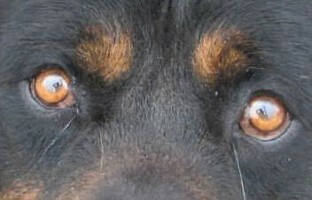 Rottweiler eyes with a 4B, 5 and 6 or any other color is a disqualifying fault. 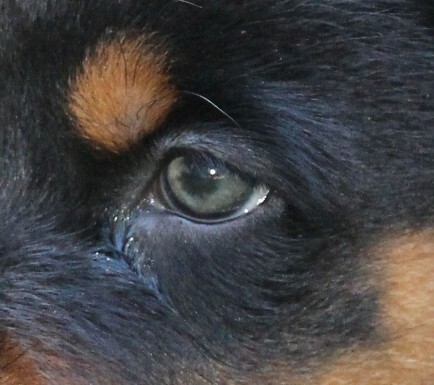 The darker the eye color the beter and the more favorable in the show ring. 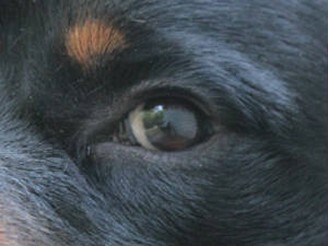 The Rottweiler eye chart below is what the Germans use as a guideline below. 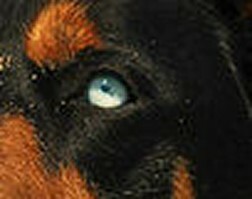 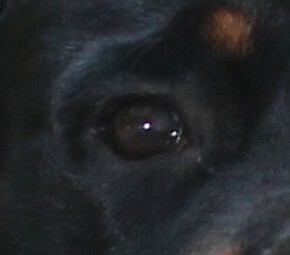 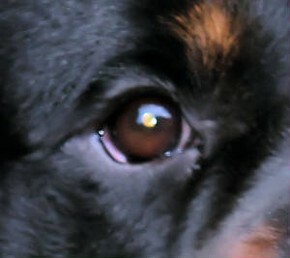 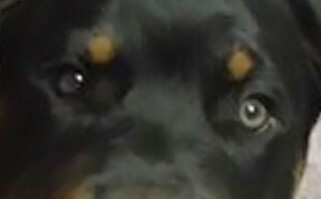 Rottweiler eye colors below would be a disqualification either from the eye being the wrong color or the color is too light for the standard. 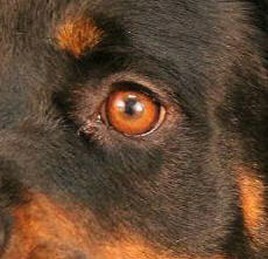 Read the Rottweiler standard.